When Microsoft started talking about the next version of the operating system Windows 10, the company has repeatedly emphasized the central role of the last DirectX. Why is it so important to the user, and what improvements will bring a new version of the graphical interface with the upcoming Windows 10? Today we will try to briefly answer these questions. The first DirectX appeared in the second service pack of Windows 95. It was a complex set of different modules and called application programming interface or API. Before the first version of DirectX (which had number of 2.0A), the launch and execution of such applications (games) was a cumbersome and complicated process. To get direct access to the hardware, the program accesses the DOS – the predecessor of Windows without the GUI. It was, an ineffective mechanism for the use of components such as memory, video and sound card, etc. When Windows 95 was released, Microsoft decided to open a new page in its history. The company realized that to make the new operating system popular among general users, especially for gamers, they should offer a more efficient working environment for game titles. Thus was born the DirectX – a new generation of software interface through which all multimedia applications that can use it to get faster access to appropriate equipment.In the early adoption of the new API went comparatively slowly, especially in the background of fairly strong competition from appeared a few years earlier OpenGL. However, DirectX was getting better and better, and today, almost single-handedly dominated the world of computer video games – at least on Windows. It is not hard to guess that the numbers in the title indicate the number of interface versions. In this case we are talking about the twelfth version of DirectX, which deserves special attention from all eleven others that precede it. Because Windows 10 is a single platform, running on smartphones, tablets, laptops, computer desktops and gaming consoles (Xbox One), the emergence of DirectX 12 will affect a much wider range of hardware devices. Owners of Xbox One, for example the new interface promises to accelerate rendering capabilities and therefore, more beautiful looking games. Moreover, Microsoft hopes that the transition to DirectX 12 will destroy the superiority of their main competitor – Sony PlayStation 4 console, which currently offers more computing power than the Xbox One. For example, the new API will allow game developers to get faster access to high-performance buffer ESRAM Xbox, and this in turn will lead to an increase in the number of frames per second. DirectX 12 promises the acceleration of the dashboard Xbox One, as well as full support for 4K video. Another very interesting promise associated with DirectX 12. Microsoft says that the only upgrade to Windows 10 (and DirectX respectively) may increase gaming performance almost twice may be even greater. One of the main tasks of the new DirectX 12 is to allow to use of all available processor cores, and load them at full capacity. The effect of this optimization is impressive to say the least – the results of the popular 3D Mark tests show 10-15-fold increase in performance when switching from DirectX 11 to DirectX 12! However, that’s not all. The software giant promises productivity growth not only for high-end desktop systems, but also for weaker devices such as laptops and tablets with Windows. 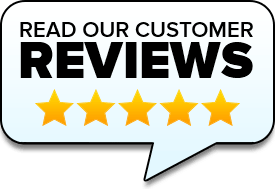 Of course, this does not mean that they miraculously turn into a full-fledged alternative to the gaming desktop PC, but because Windows 10 and DirectX 12, they will offer a smooth and high-quality graphics. 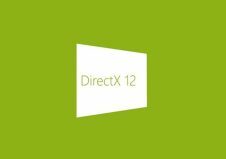 Finally – DirectX 12 will prepare Windows for the new world of 4K resolution, which we hope to gain a foothold in the PC world in the next few years.